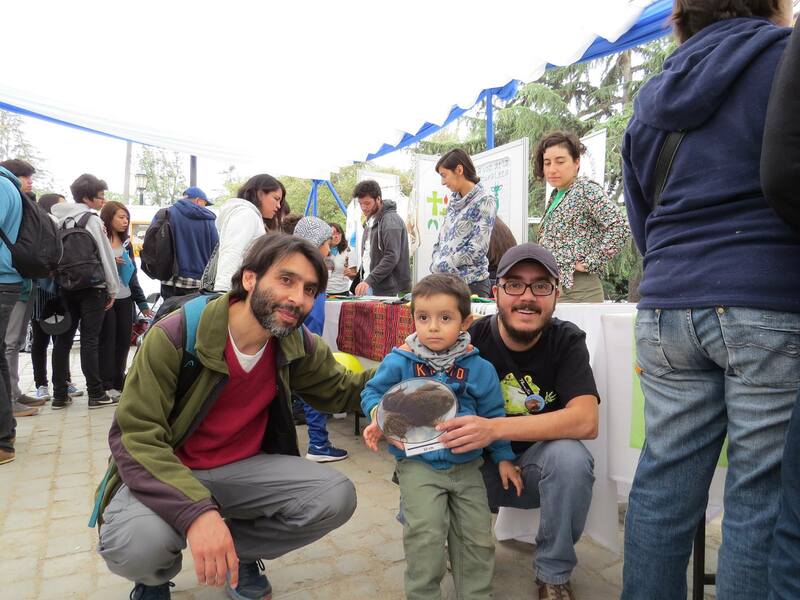 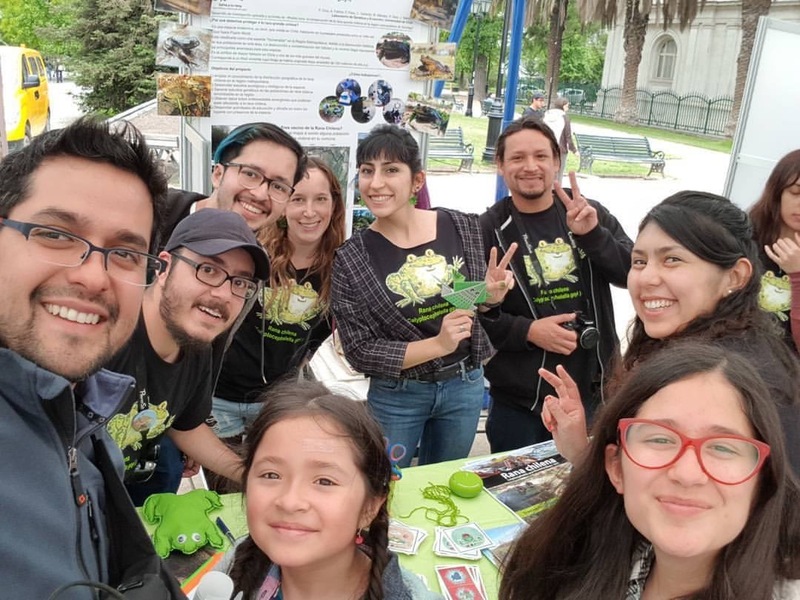 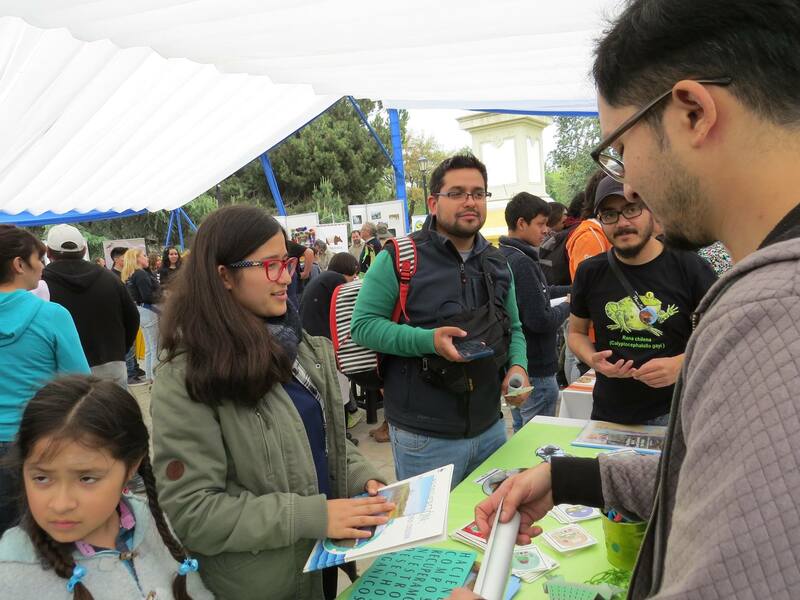 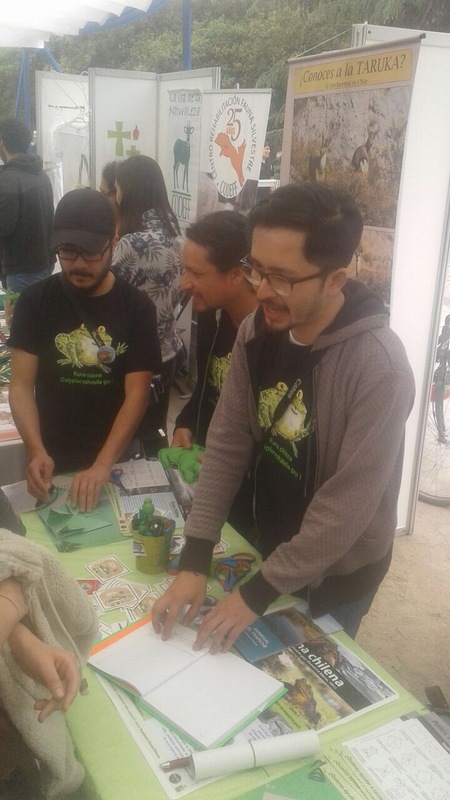 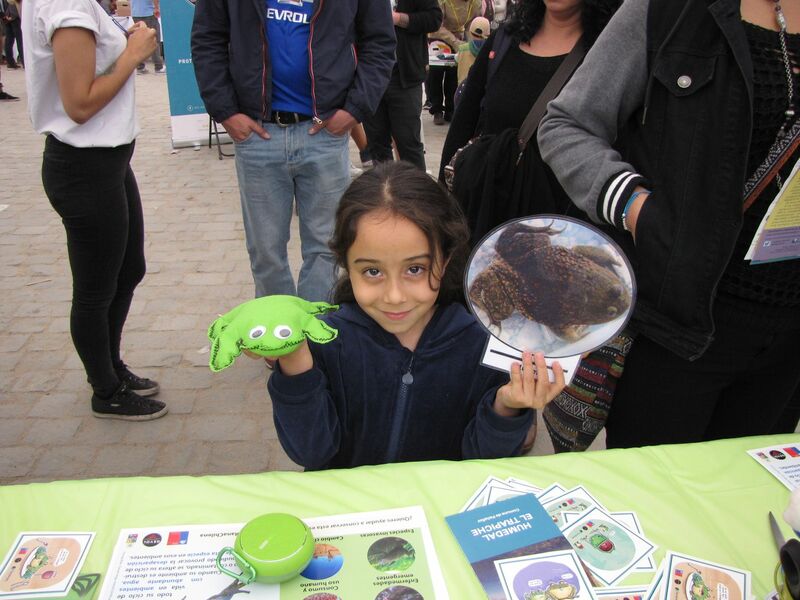 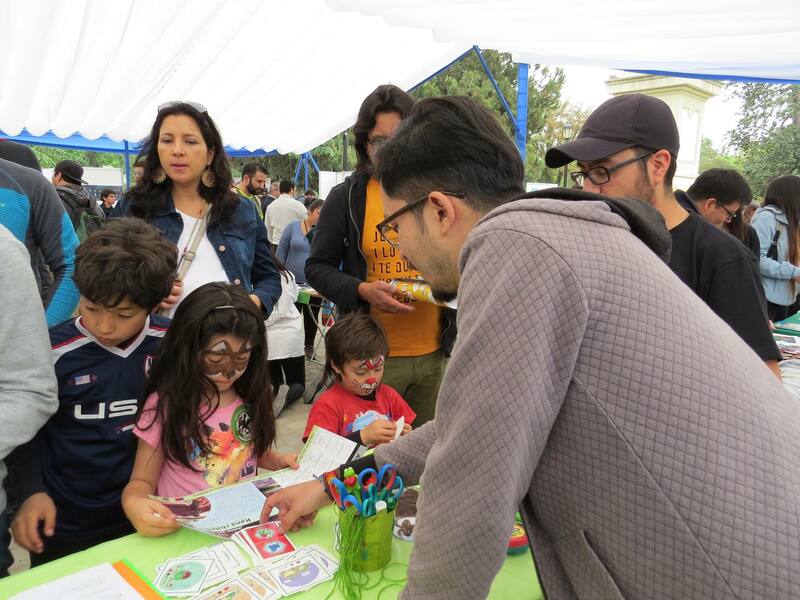 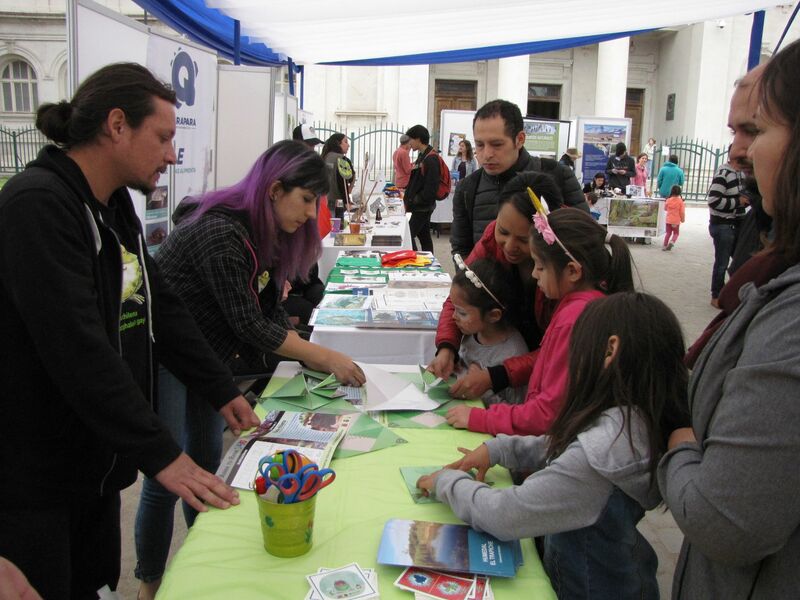 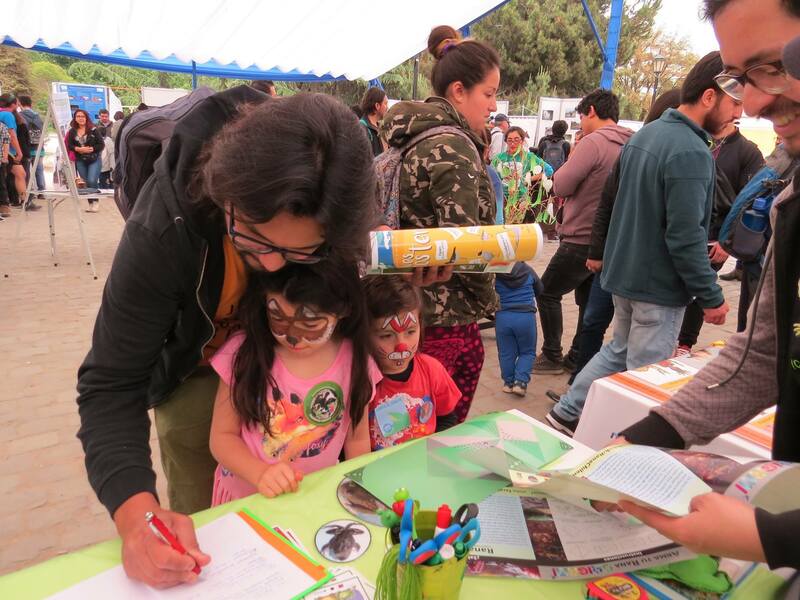 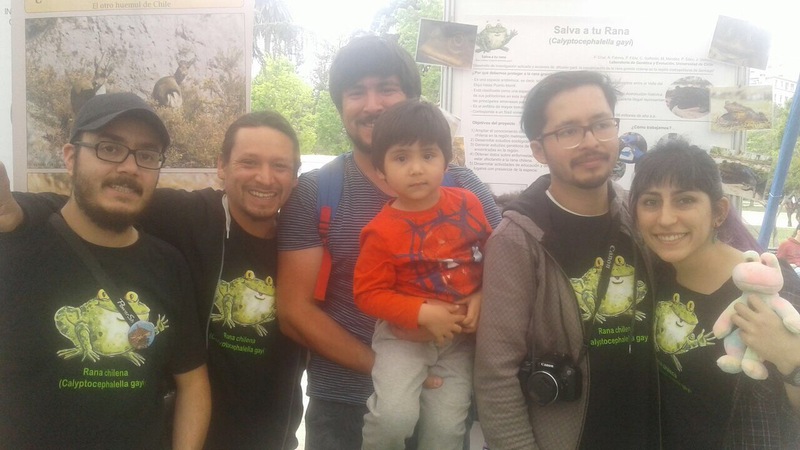 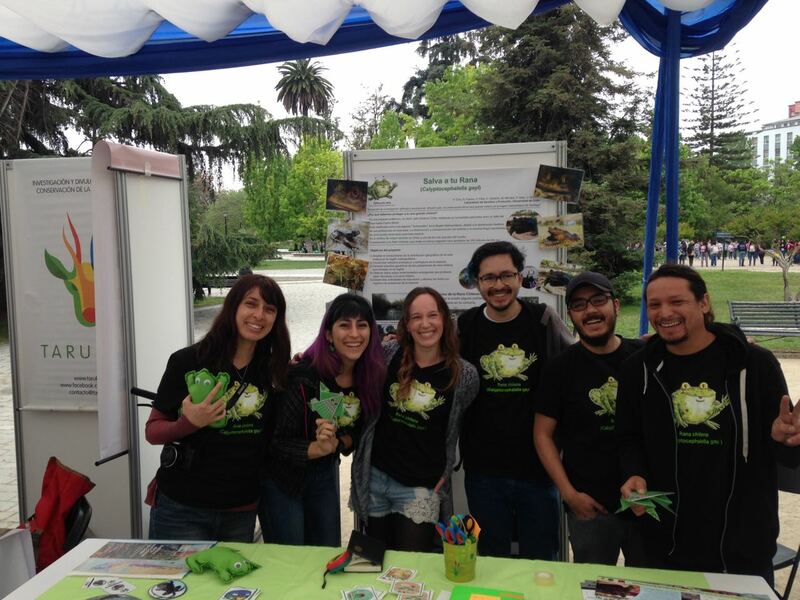 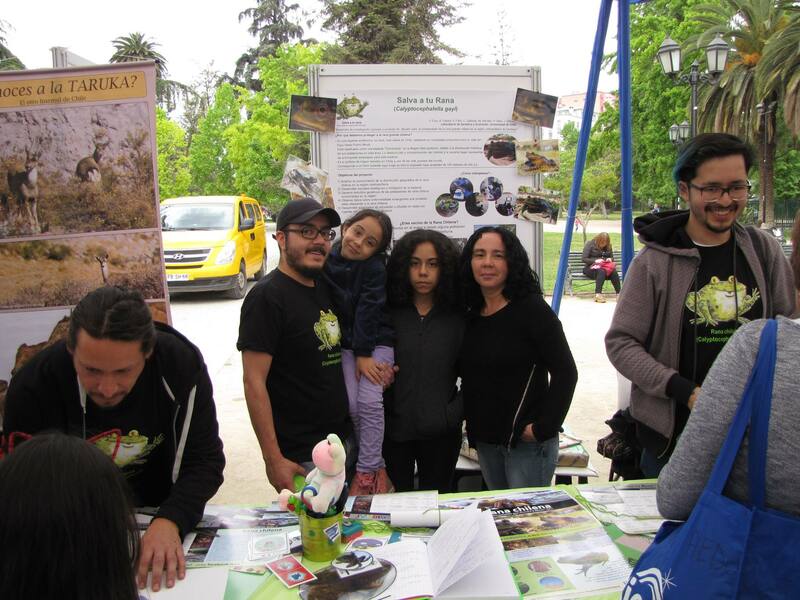 Past 4th of November, on behave of the conservation project for the Chilean Toad (Calyptocephalella gayi), we participated in an event organized by the Jane Goodall Institute and the Chilean National Museum of Natural History. 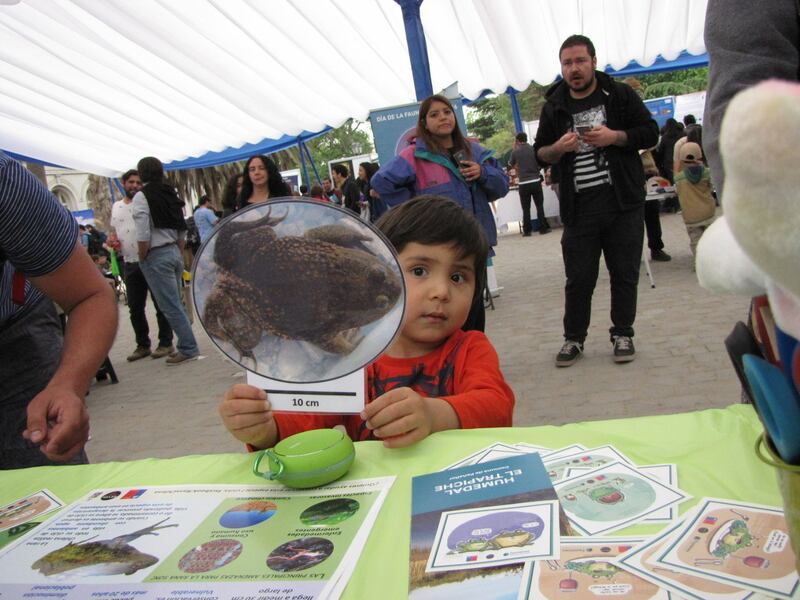 Here we participated with a stand entitled #SalvaTuRana (Save the frog). 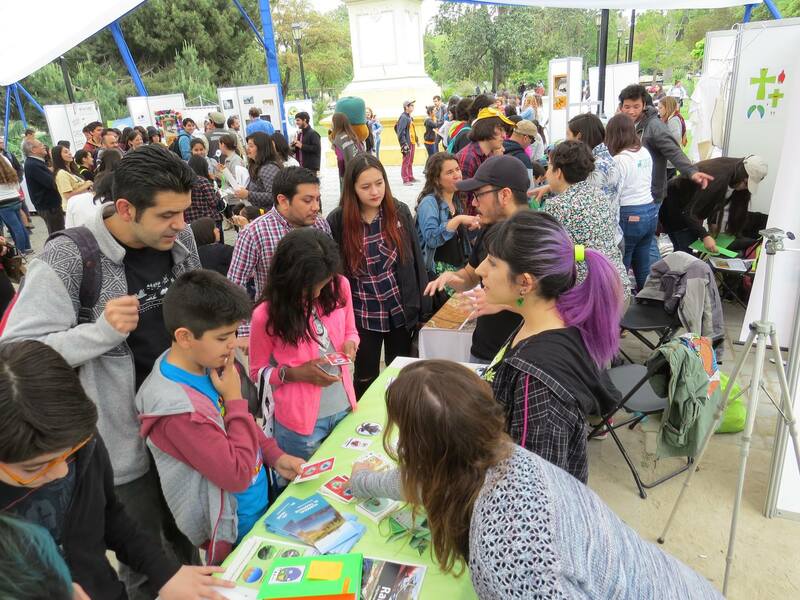 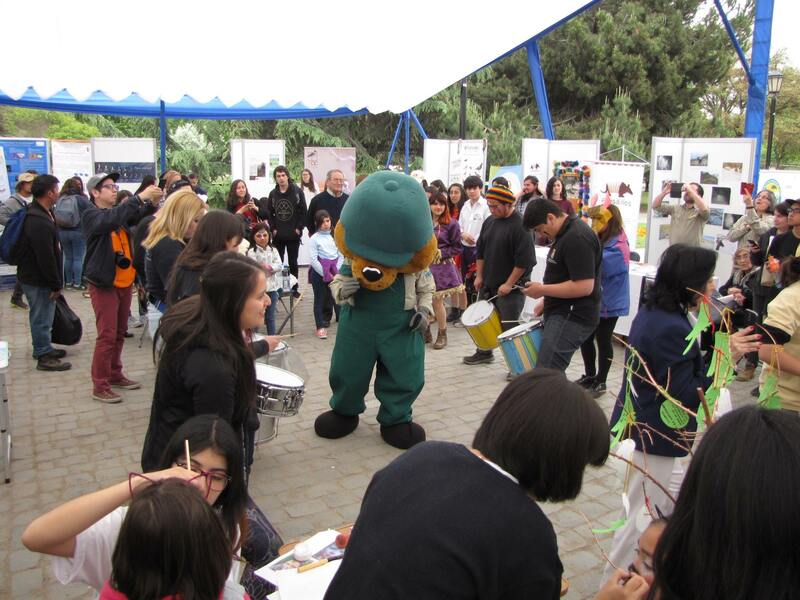 This event took place on the front of the Chilean National Museum of Natural History, and had about 2000 visitors that day. 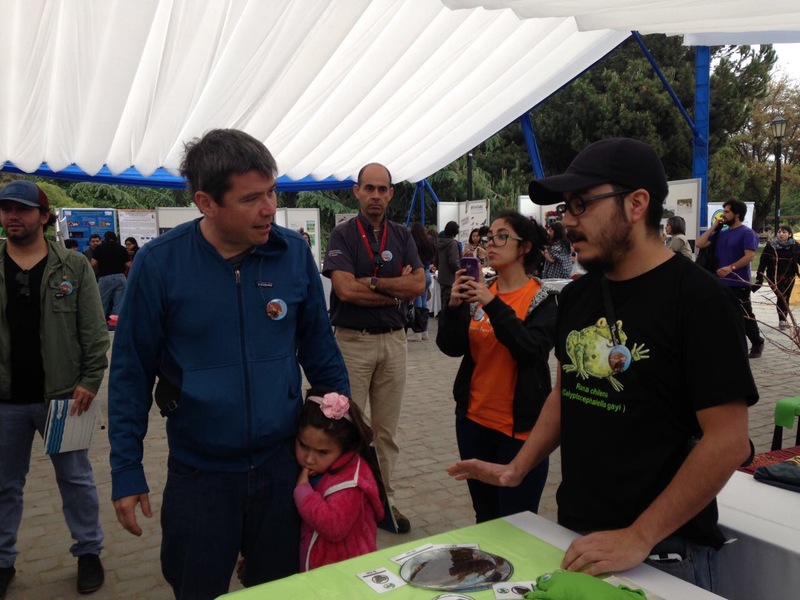 One special visitor, was the national Minister of Environment, Marcelo Mena, who passed trough all the stands and took the time to know what our project is about. 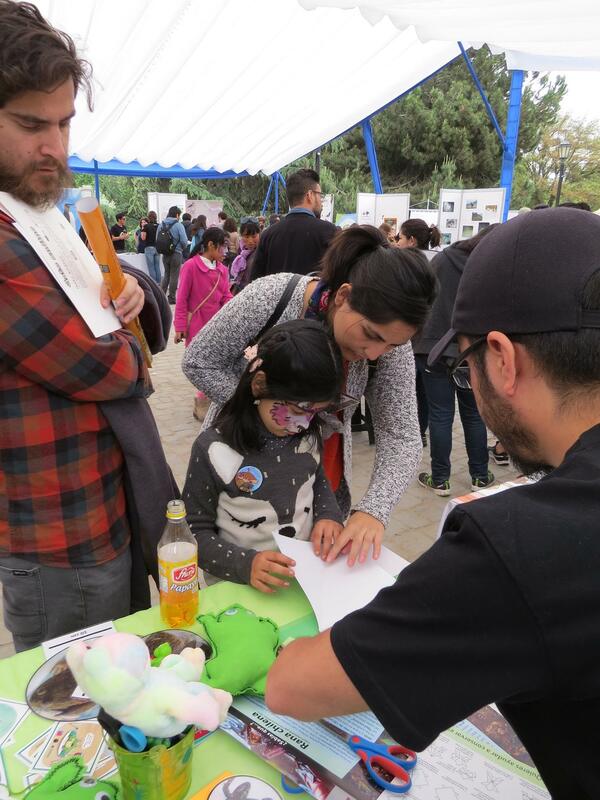 Check out our Gallery of the visitors we had that day.